WASHINGTON — President Donald Trump is misrepresenting the circumstances of a 7-year-old migrant girl’s death as he seeks to steer any potential blame for it away from his administration. Trump, after mockingly painting asylum seekers as a “con job” in a rally the previous night, asserted on Friday that Jakelin Caal Maquin was given no water by her father during their trek to a remote border area and that the dad acknowledged blame for his daughter’s death on Dec. 8. Those assertions are not supported by the record. TRUMP: “I think that it’s been very well stated that we’ve done a fantastic job. The father gave the child no water for a long period of time – he actually admitted blame.” — to reporters Friday. 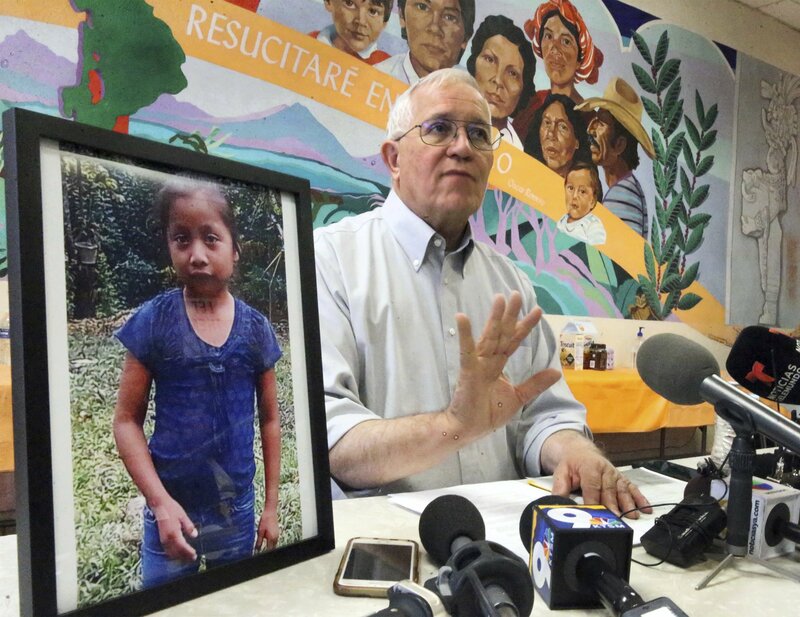 THE FACTS: An autopsy report released Friday found that Guatemalan girl died of a bacterial infection just more than a day after being apprehended by the U.S. Border Patrol. The El Paso County Medical Examiner’s office said traces of streptococcus bacteria were found in Jakelin’s lungs, adrenal gland, liver, and spleen, and she experienced a “rapidly progressive infection” that led to the failure of multiple organs. Neither the autopsy report, nor accounts at the time by Customs and Border Protection, spoke of dehydration. And through family lawyers, Nery Gilberto Caal Cuz said after his girl’s death that he made sure she had food and water as they traveled through Mexico. The girl and her father were caught at 9:15 p.m. on Dec. 6 in a group of more than 100 people trying to cross the border, less than a mile or kilometer from the Antelope Wells entry port in New Mexico. The father claimed upon their apprehension that she was in good health. In any event, no health problems were observed. Her first distress was reported at 5 a.m. the next day, when her father said she was vomiting on a bus waiting to take them to a Border Patrol station at Lordsburg, New Mexico. When the bus arrived close to 6:30 a.m., the father said Jakelin was not breathing. A Border Patrol emergency technician revived her twice. She had a temperature of 105.7 degrees. At 7:45 a.m., a helicopter flew her to the nearest trauma center, in El Paso, Texas, where she went into cardiac arrest late that morning and was revived once more. By then breathing by machine, with brain swelling and liver failure, she died on Dec. 8 at 12:35 a.m., her father with her. But the boy also did not arouse any concern in initial screenings. He was in U.S. custody for five days before suddenly falling ill.